The probate process varies between states, but it generally involves a court-appointed executor who manages the property in your estate, pays your debts from estate assets and distributes remaining assets to your beneficiaries. Probate can be expensive and time-consuming, but you cannot avoid it by adding someone’s name to a property deed. If you do simply add a name, you give that person current ownership rights to a portion of your property, but you don’t give him rights to the whole property when you die. For example, if you are the sole owner of a piece of property that you want to leave to your brother, adding his name to the deed immediately makes him half owner of the property. Upon your death, your half of the property goes through probate while he retains his half. If your goal is to give the entire property to your brother, you must take additional steps to give him rights of survivorship. Depending on your state’s laws, you can add a beneficiary to your deed and give him full rights to the property upon your death by including “rights of survivorship” language to the deed. 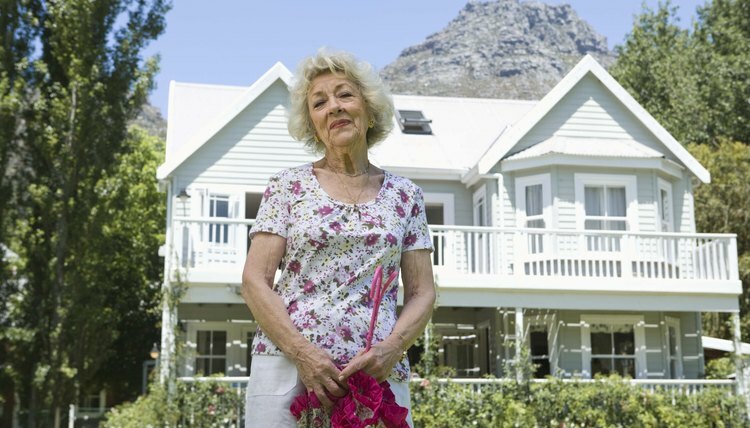 With a right of survivorship, your spouse or other co-owner automatically inherits ownership of the property when you die, and the property does not have to go through probate. This type of arrangement is common between spouses. If your spouse’s name is not on the deed to your property, you can add it by executing a new quitclaim deed according to your state’s rules. A quitclaim deed is typically a simple document in which you, as the owner, transfer the property to you and your spouse jointly. In effect, this adds your spouse’s name to the property. You can also give your spouse “rights of survivorship” in the quitclaim deed. If you want to leave your property to someone upon your death and without using a will, your state may allow you to execute a beneficiary deed, though beneficiary deeds are not recognized by all states. A beneficiary deed allows title for a particular piece of property to pass automatically to a beneficiary when you die. If you co-own your property, your beneficiary deed can only transfer your share of the property, so the other owner must also execute a beneficiary deed if he wishes to transfer property this way. Beneficiary deeds are also useful if you don’t want to transfer ownership authority while you are alive but want to keep that property from going through probate at your death. For example, if you are not married and want to leave your home to your son when you pass away, executing a beneficiary deed makes the transfer automatic, and your son will inherit your home when you die. The beneficiary deed does not give your son any rights to your home while you are alive. Each state has its own requirements for filing a beneficiary deed. Your state will likely require you to fully describe the property, list the full names of your beneficiaries and sign the deed in front of a notary. You must file the deed with the county recorder of deeds in the county where the land is located. This makes the beneficiary deed public record, but you can change the deed at any time by revoking your old beneficiary deed or recording a new one. Your will cannot change your beneficiary deed since the beneficiary deed passes the property outside the probate process. Fortenberry Legal: Quit Claim Deed | What is a Quit Claim Deed? Combs Law Group, P.C. : Is the Quit-Claim Deed Enforceable?